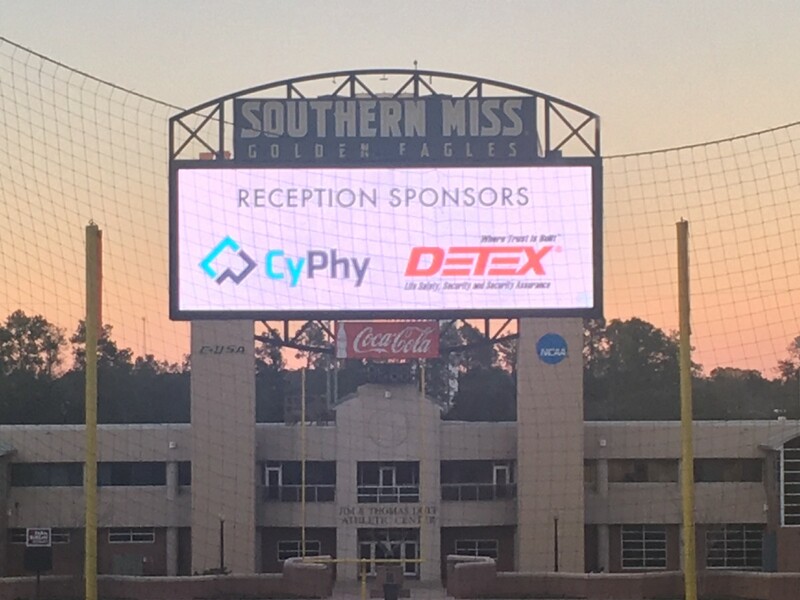 The CyPhy team is excited to be on the campus of The University of Southern Mississippi (USM) for 4th annual National Intercollegiate Athletics Safety and Security Summit. Top safety & security professionals from across the country gather with a goal of identifying effective safety and security measures, review questionable measures and look at the current critical safety and security challenges facing intercollegiate athletic programs. In an interview with http://hattiesburgbusinesstoday.com/, Dr. Lou Marciani, director of NCS4, said the summit serves as the only annual combined meeting for personnel responsible for safety and security management at collegiate sports events at NCAA Division I, II and III institutions, as well as athletic conferences and college football bowls. About 125 participants are expected for the security summit that will be looking at issues such as crowd management, emergency action planning, threat risk, staff development, and technology. Marciani said enhancing best practices reduces risk, which makes it more likely to have a safe event. He agrees that is important not just to protect people, but also the local economy. The CyPhy team is flying our Persistent Aerial Reconnaissance and Communications system (PARC) that was purpose-built for long term surveillance and safety missions that are routine for the NCS4 conference attendees. 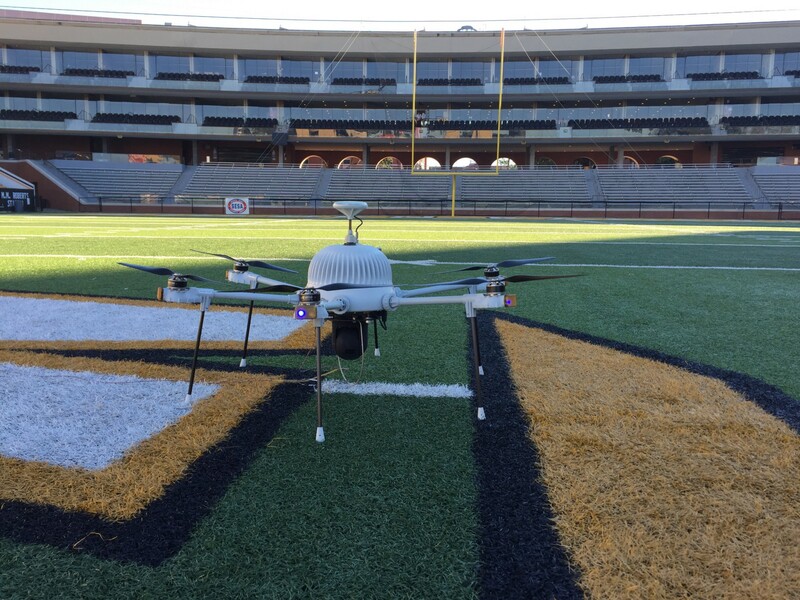 PARC can fly for hours at a time and hovered above M. M. Roberts Stadium for the opening reception of the conference. We were able to fly into the evening legally under our FAA waiver for night operations. Most drone models that you can buy commercially are limited by a short battery life, often under an hour. They’re also notoriously unstable — one drone recording a slalom race in Italy late crashed onto the slope, missing a skier by inches. PARC is also designed to survive weather events like strong winds and intense weather conditions. The built-in cameras shoots both pictures and video with an impressive zoom that can spot a person at a range of three miles. Post-event traffic is another common challenge facing NCS4 professionals. We’d encourage you to take a look at two innovative use cases of how the Tokyo Police force and Colorado Department of Transportation utilized a PARC drone to tackle crowd and traffic management.